The question of the positive impact of building and landscaping practices with relation to renewables is generally discussed when talking about buildings, architecture and energy technology. It has been less of a concern when planning and designing gardens. 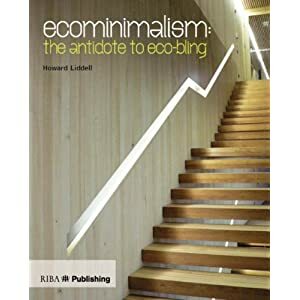 This post looks at the ideas explored by Howard Liddell, of Gaia Architects, Edinburgh in his book Eco-Minimalism, RIBA Publishing, in particular Shelter Planting and biodiversity. Liddell writes that " many projects experience , during late cost cutting, the removal of landscape elements once they get towards the end of the site operations. Suddenly, trees and bushes do not get planted because they are seen as "amenity planting", that is, non essential decoration. 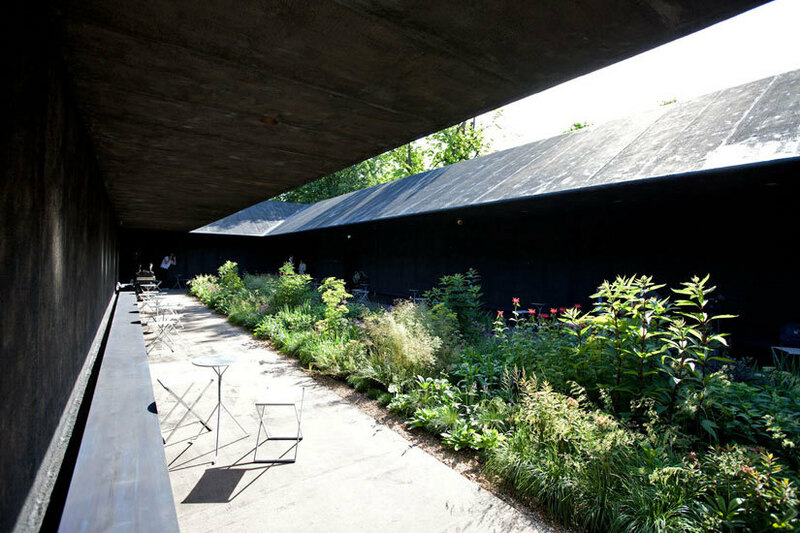 However, vegetation (or the lack of it) can have a very significant impact ..... on the energy performance of a building. Trees and shrubs can shelter buildings from prevailing and chilling winds, with a resultant reduction in heat loss as a benefit. ...of course these items can have amenity value - but with a practical (and calculable) economic benefit, they are less likely to be omitted during belt-tightening cost exercises." On biodiversity, a simple rule and challenge: " The city of Berlin has a 50 per cent rule for new developments, whereby half the built-up footprint of any site has to be biodiverse - it can be "greenscape' (gardens, etc) or 'bluescape" (ponds, etc)." These proposals can be applied to all of our planning, design and execution of exterior spaces: they remind me of one of the most successful, livable, recent UK developments, Accordia in Cambridge. As the weather turns warmer and we begin to think of letting the outside in, and viceversa, we are looking at iconic and contemporary projects that integrate the house within its landscape, a central feature of the esterni approach. 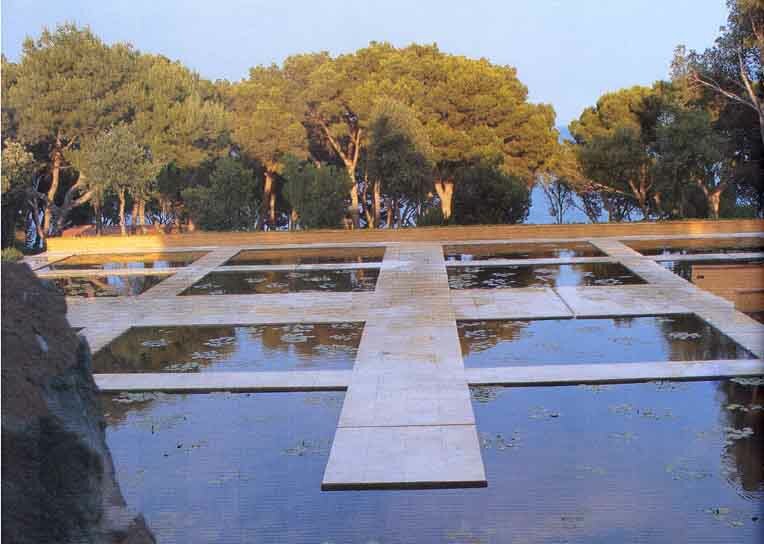 There are examples of entrance gardens, in the work of Vladimir Sitta, and modernist inspired new build projects, where thought is given to the porousness of inside and outside. Canoe Reach, a private residence on the Brisbane River, Australia, by Steendyk Design Studio, has an impressive fifty five thousand litre underground rainwater tank that captures water from the roof and grounds for the garden reticulation system. 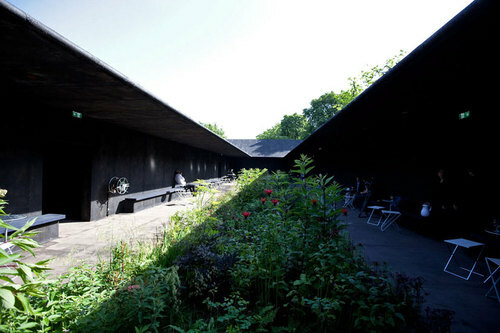 The residence features natural cross-ventilation throughout with the use of single-depth rooms. The parasol courtyard roof opens on three sides to expel hot air, and ventilation slots located at the back of the central courtyard ventilate the garage below. The single-pane glazing of the pavilion is tinted and treated to the equivalent of double-insulated glass, and retractable external blinds protect the west-facing façades. The result is a residence that employs architectural detail to define spaces and engages the senses. 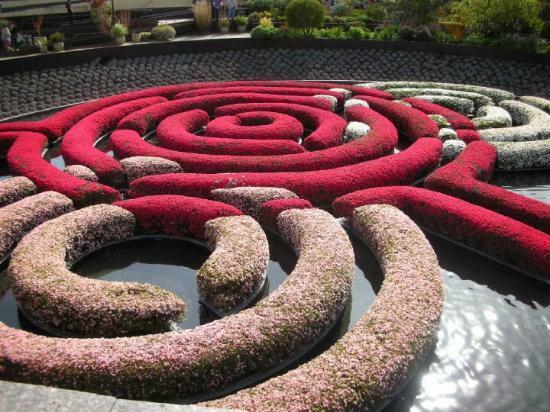 I have always been a fan of sunken gardens, and in the Getty garden in California there is a seriously ambitious sunken pool with a planting of azaleas in the manner of a water parterre. 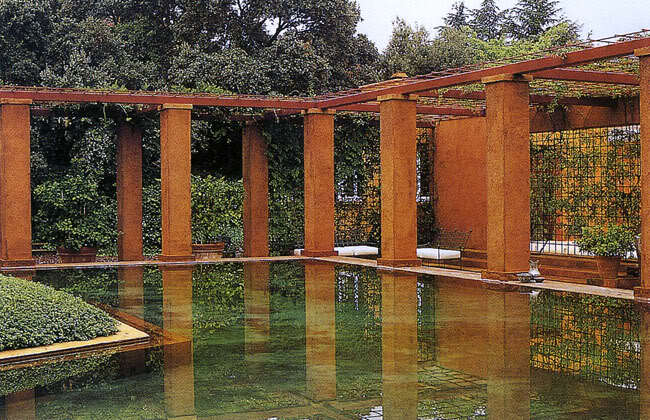 As a fine artist, Irwin's challenges were initially to marry the layout and public access of the garden with the existing Meyer building and then to learn how to paint in horticultural terms (there were years of trips to investigate plants combinations))). The book that documents this project - in the links on the right- reports many interviews between the artist and the teams that helped him achieve his vision. I was struck by this one quote, which talks about how Irwin dealt with the intimacy of colour and pattern in flowers in such a complex architectural space.
" How do you go from such a surround (building)? I started thinking about starting from geometry, from geometry to pattern,and pattern to texture: from the buildings out to the flower (petal, stalk)".